In Zimbabwe, just like in any other developing country, carpentry is a male-dominated profession making it hard to find a female carpenter. Society has defined the kind of jobs that women should do and carpentry is just not one of them. However, walking in the dusty streets of Kuwadzana, a high density suburb located some 45km from Harare’s central business district I had the shock of my life seeing one female carpenter, Muchaneta Mutombeni. The slim, tall and brown-skinned Mutombeni has defied the odds and turned a deaf ear and a blind eye to the labelling and name calling attached to ‘deviant’ people like her in the society. Holding a hammer and a number of nails while clad in her blue, dirty, oversized overalls she looked very happy and seemed to enjoy what she was doing. In rapt, I watched her as she put the hammer down and began using a plainer and then a drilling machine while making a bed base. In shock and with so much zeal to know what it is that gets her going I approached her and asked her a few questions about herself and the profession she is in. Mutombeni says she became a carpenter because of lack of employment in the country but states that she is not shy about her profession and actually takes pride in it. ‘After finishing my ordinary level studies in the rural areas and having failed, it was very difficult for me to find a normal job considering the rampant unemployment. ‘I had no choice but to follow my talent though I knew it was not a job suitable for the girl child; I had to look after my siblings,’ she said. 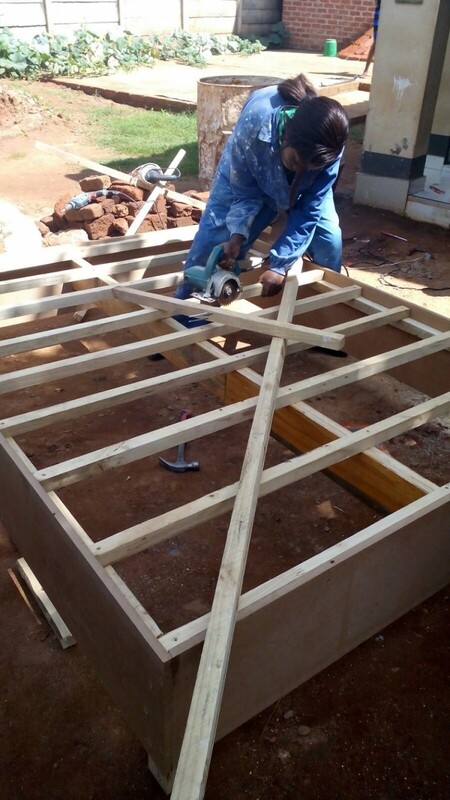 Mutombeni brags that despite the fact that Zimbabwe is in an economic turmoil to the extent that the average people are struggling; her carpentry career is enabling her to put food on the table. ‘I cannot complain because I’m managing some basics like shelter, food, which most people in the country are failing to do. 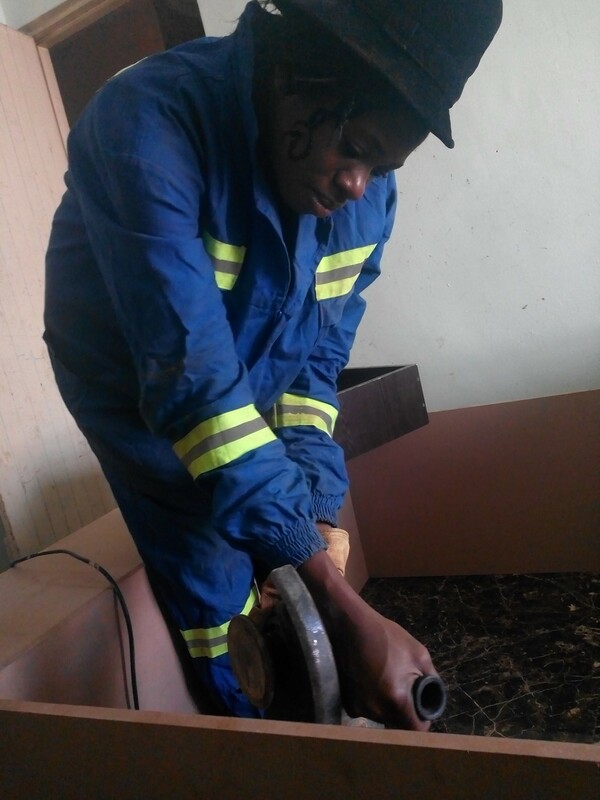 Working in a male-dominated company at Rich-Mandiz pvt ltd, Muchaneta says carpentry is her calling and she feels she was born to do it. ‘I was inspired by my late father who was a carpenter and I believe carpentry is a calling and runs in the blood as it comes natural to me,’ she said. Her boss, Beaven Mandizadza, says Muchaneta`s work rate is astonishingly tremendous. Her knowledge and experience of the work is overwhelming. He adds that though Muchaneta didn’t go to school to study carpentry, her knowledge and experience of the work is overwhelming. Muchaneta Mutombeni grew up in the rural areas in Rusape where she attended her primary and secondary education and finished her ordinary level studies in 2008. In 2010 she migrated to Harare to find a job and spent a year without one. Out of frustration she looked into herself and realised she had abandoned her true passion of carpentry. 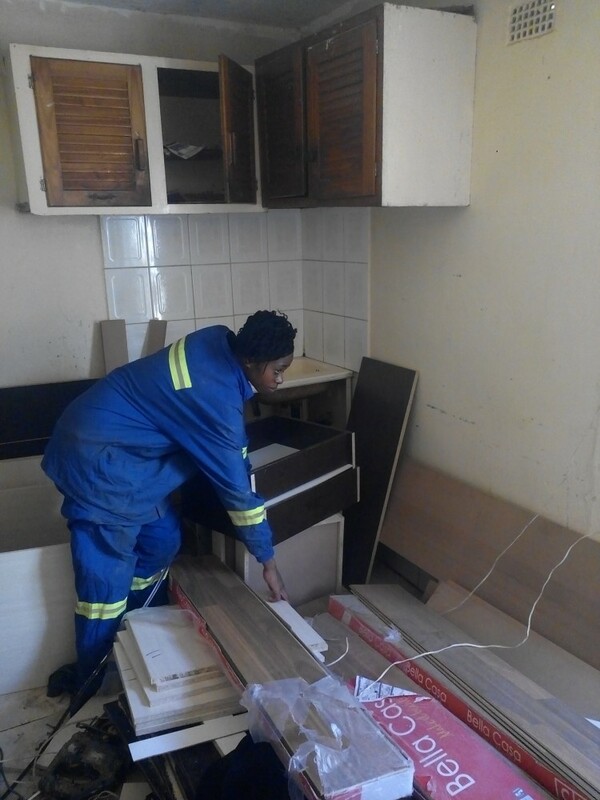 In 2011 she got a job as a general hand at RichMandiz pvt ltd, a company which specialises in shop fittings, joinery, cupboards making and fittings, where she is currently working as a supervisor.